Would you like to personalize this poem to make it specifically about your loved one? Creative-Funeral-Ideas.com has an in-house poet who can create a poem specifically about your loved one. The poem below is one we did for a client. They shared with us their favorite memories, and our poet, Judith, wrote the following. If you would like to learn more about our custom poem service, click here. 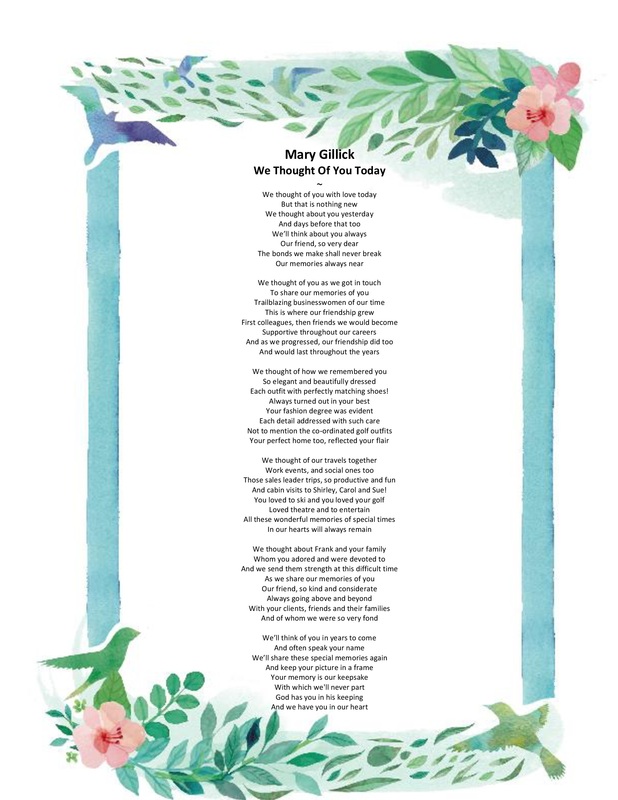 The poem, I Thought Of You Today, personalized with three lines of text for your loved one, is a beautiful tribute for the funeral, celebration of life, or memorial service. A one-of-a-kind treasure to place on the memory table. Afterwards, it is a priceless keepsake to display in your home to cherish the memory of your loved one. Print several copies. 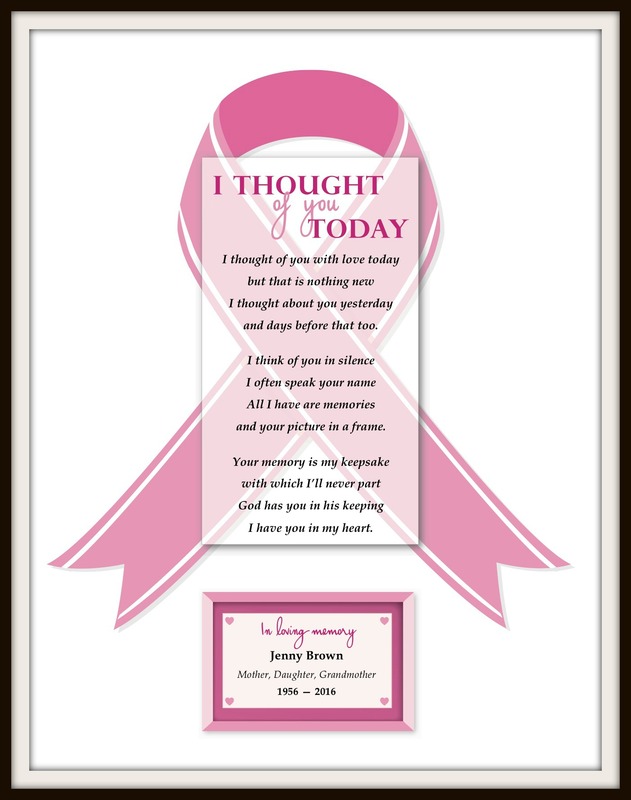 It makes a not to be forgotten gift for the surviving spouse, children, and other family members. An inspiring gift of hope and love. A very special gift to receive, and a pleasure to own. We've made it easy for you to create your own poem that is personalized for your loved one. Upon ordering the poem, you will instantly receive a link to download the artwork, which is in a Word document. You do need to have Word program on your computer. Scroll down the poem, to the insert; In Loving Memory Of. the year of birth and year of death. Save and you are ready to print. I recommend printing it on Epson velvet fine art paper which gives a very rich look to your poem. It comes in 20 pages to a package. Or you can send the document to Staples or Kinkos to print it for you. As many copies as you want. Again, ask for it to be printed on premium paper. You can frame it with an inexpensive frame from Walmart or Amazon, which typically costs around $14 to $19. If you plan to display the poem at the service I recommend a frame with a hanger on the back for table display. It will be treasured forever.